Saudi Arabia will introduce new taxes on products such as tobacco and sugary drinks in an attempt to increase government revenue and wean its economy off oil. The kingdom unveiled more details about its ambitious plan to transform the economy on Tuesday. It wants to increase non-oil revenues and cut down the proportion of its budget that is spent on government wages. 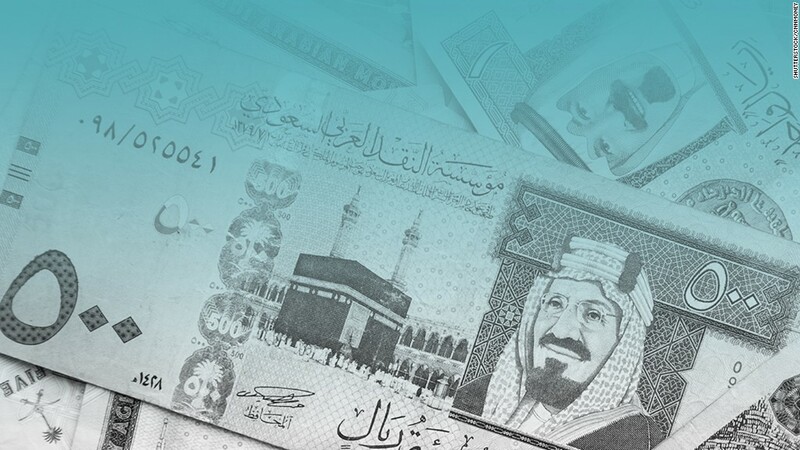 While taxes on income and basic goods are not part of the plan, Saudi Arabia is planning to introduce a transportation tax and new airport fees, according to John Sfakianakis, Saudi government adviser and director of economic research at Gulf Research Center. A new 5% sales tax will also be rolled out across Saudi Arabia and the rest of the Gulf region in 2018. Saudi Arabia is desperately trying to move away from oil after crude prices collapsed to around $50 per barrel from well over $100 in just two years. The kingdom relies on oil for around 80% of its government revenues. As a result, its budget deficit reached nearly $100 billion in 2015. Saudi Arabia won't be cutting any government jobs. But the kingdom wants to slash the government wage bill to 40% of its budget from 45% by 2020. To do that, it is aiming to increase revenues from other sources, and create 450,000 new private sector jobs. The majority of Saudi nationals -- about 70% -- are currently employed by the government. It has already cut energy subsidies and borrowed money to balance its books, tapping domestic investors for $4 billion a month since last August. It is planning to hold its first ever international bond sale this summer, hoping to raise $15 billion. The International Monetary Fund expects economic growth to slow to 1.2% in 2016 from 3.4% last year, and it has warned that without a major overhaul, the kingdom will run out of cash in less than five years.